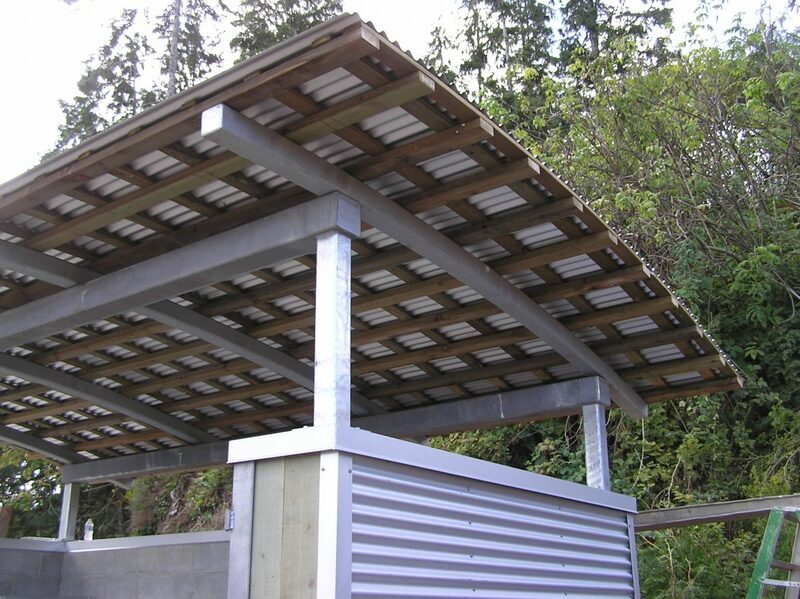 The District of Port Hardy Seine Float and Area Upgrade and Improvement project was multi-faceted. It consisted of six key components designed to attract and retain commercial vessels by increasing the range of services capable of being delivered at the Seine Floats and Summer T-Floats. 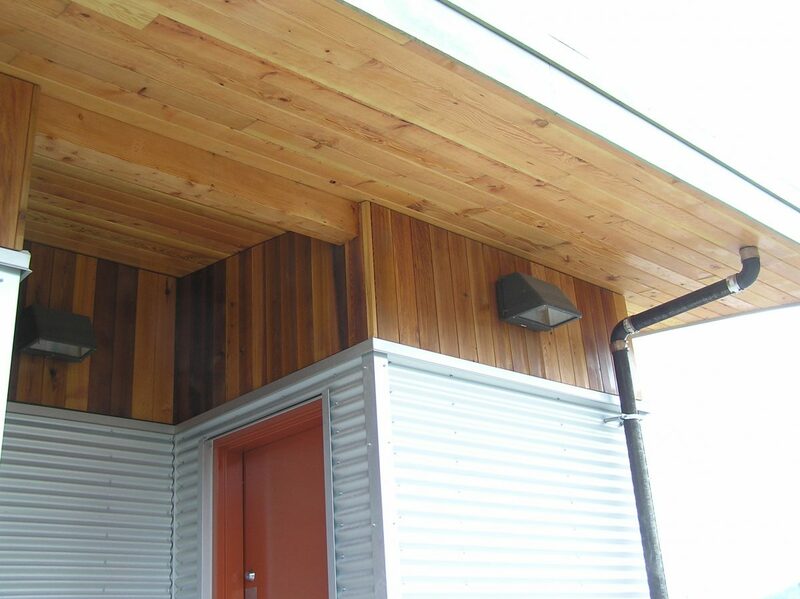 AFC Construction was responsible for constructing the new the Seine Floats washroom building, as well as landscaping and a garbage enclosure. 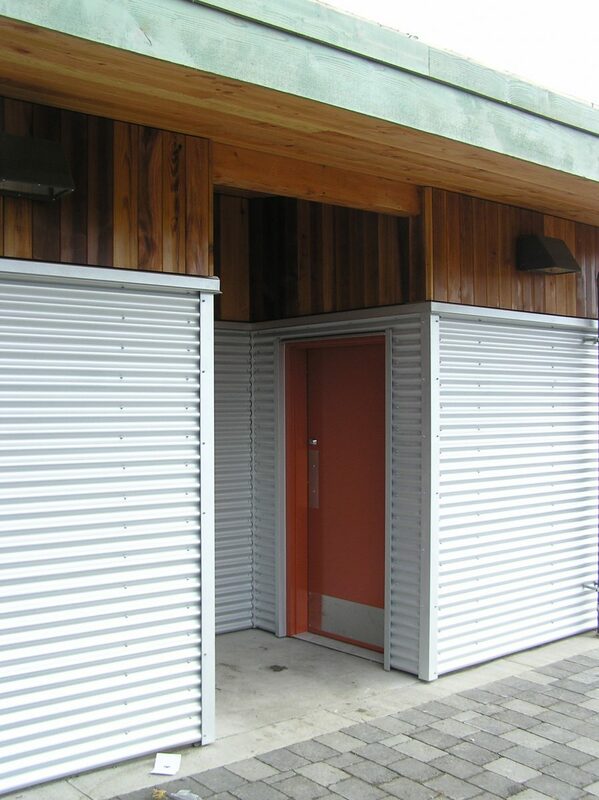 Though the design and construction of washroom buildings tend to be simple and utilitarian, the use of quality materials, unique design elements and AFC’s well regarded attention to detail helped create a facility that will be inviting and pleasant to use for decades. 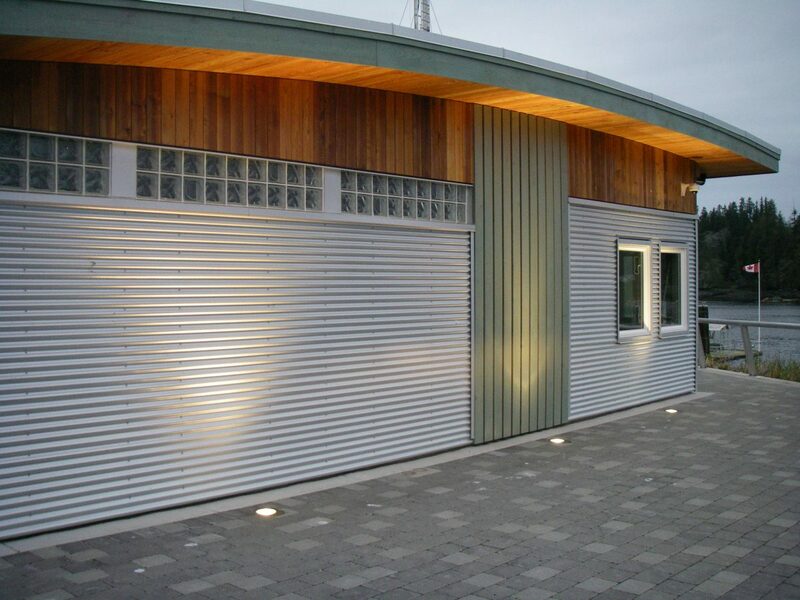 Featuring a contemporary, West-coast design that complements its surroundings, the robust structure was pre-fabricated off site and is well suited to the demands of public use. 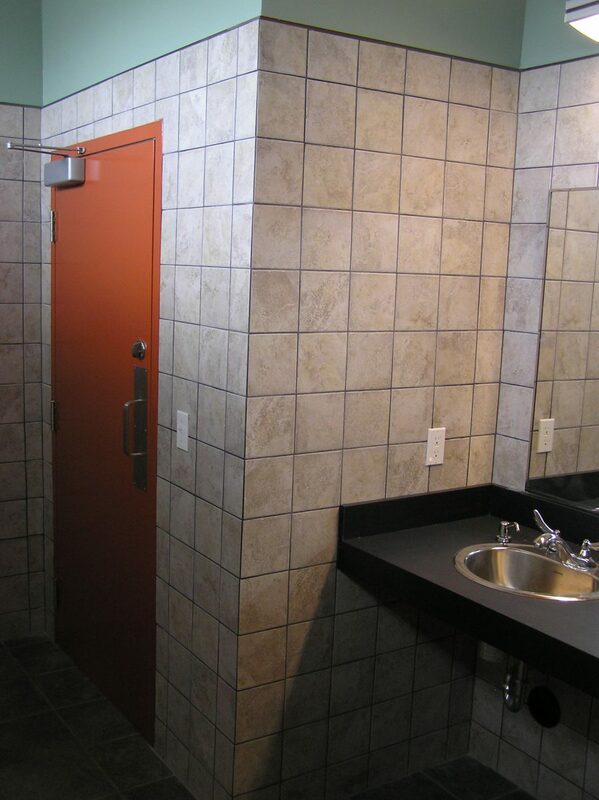 The interior and exterior finishes were done on site. All aspects of the project were engineered and constructed with this principle of environmental sustainability in mind. 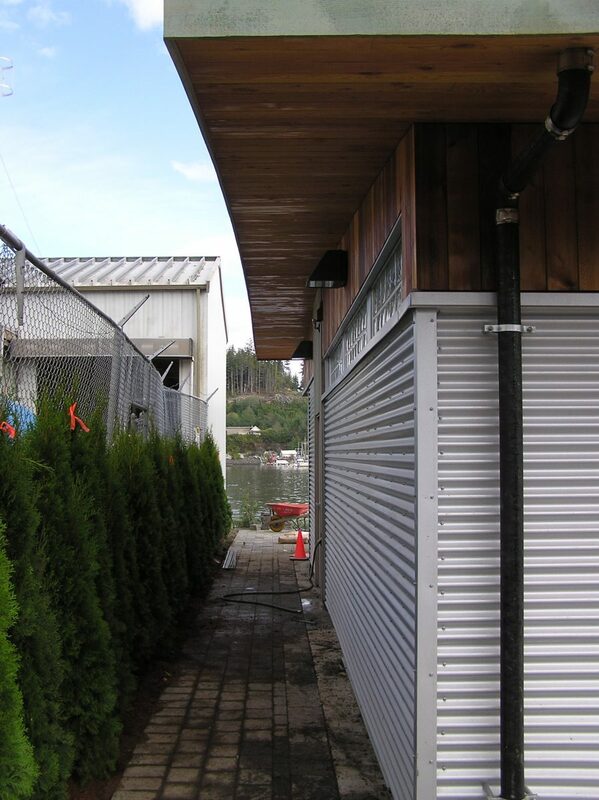 The Seine Floats washroom building received a Finalist Award in the Community Enhancement category at the fourth annual Vancouver Island Real Estate Board’s (VIREB) Commercial Building Awards. 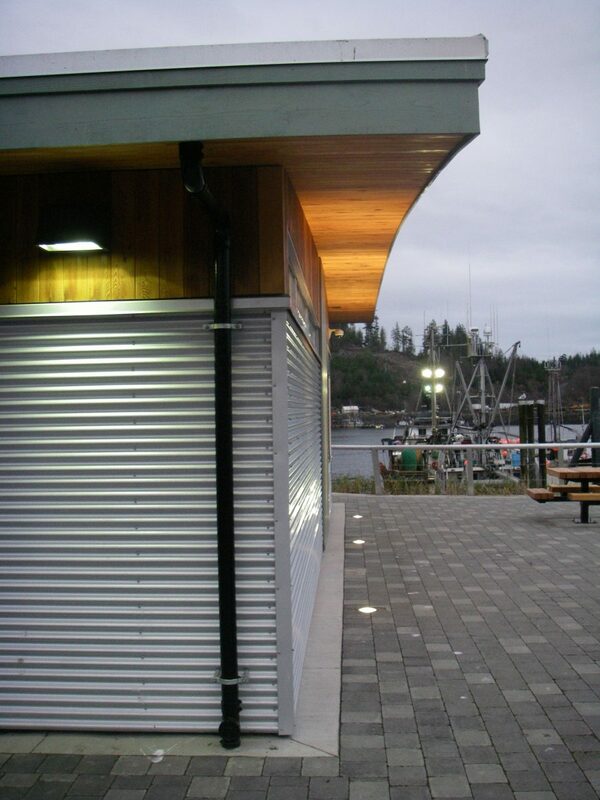 The recent investment in Port Hardy’s long term economic viability has been felt throughout the community and the local economy. 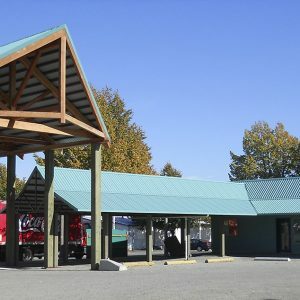 The new amenities have given towns people a source of renewed pride in their community and boosted the local economy.